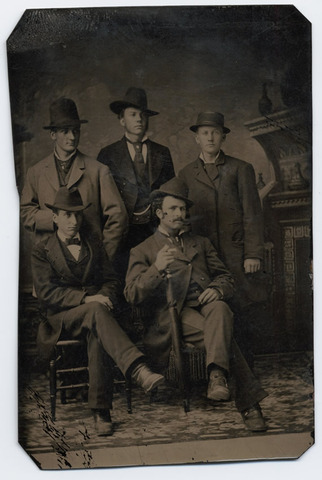 Liberty Hyde Bailey Jr. born in the pioneer settlement of South Haven, Michigan, located along the Southwest Michigan Fruit Belt, the largest non-citrus fruit producing region in North America. We have wrongly visualized the "struggle." We have given it an intensely human application. 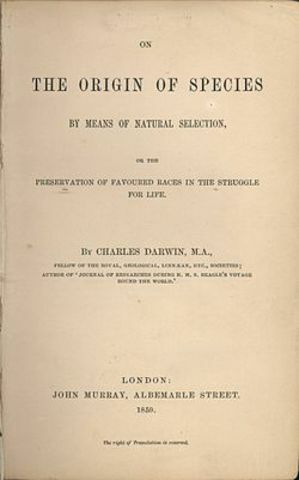 We need to go back to Darwin who gave significance to the phrase "struggle for existence." "I use this term," he said, "in a large and metaphorical sense, including dependence of one being on another, and including (which is more important) not only the life of the individual, but success in leaving progeny. 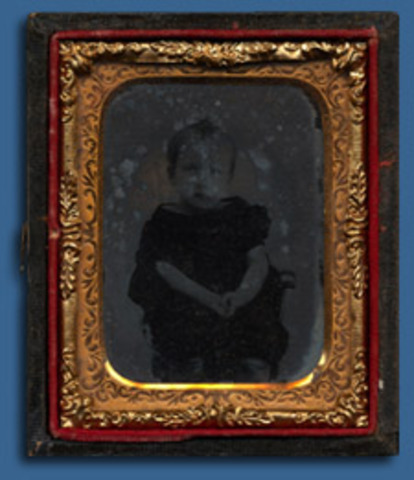 "...—how accurate and how far-seeing was Darwin! 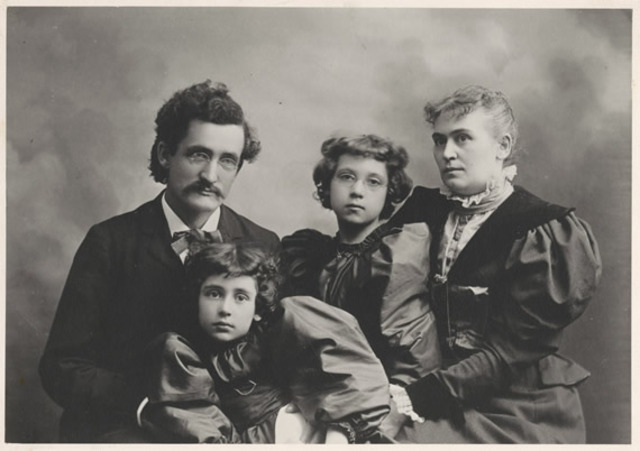 Liberty Hyde Bailey Jr. and brother, Dana, contract scarlet fever, claiming Dana's life and weakening young Liberty. 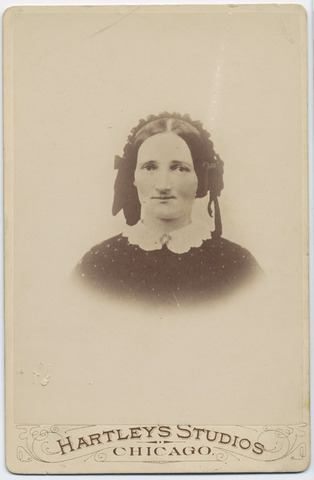 Death of Liberty Hyde Bailey's mother, Sarah Harrison Bailey. Bailey continues to memorialize his mother by tending her garden of Pinks (Dianthus). L.H. 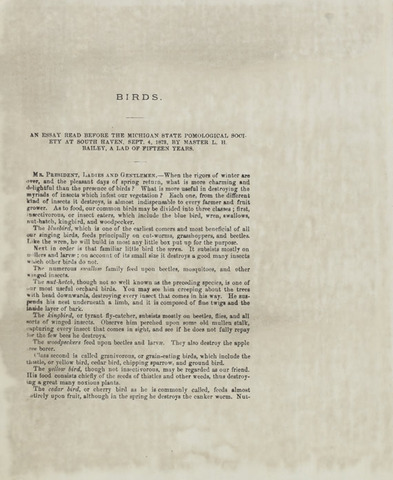 Bailey jr. authors the essay "Birds" at the age of 15 and delivers it to the Michigan Pomological Society. 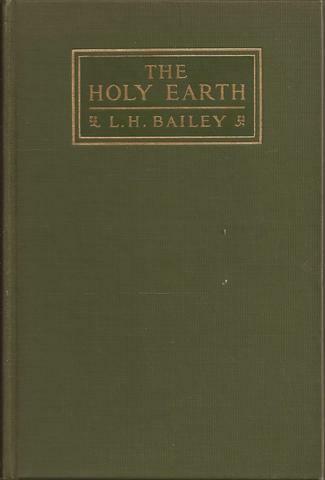 Bailey entered the Michigan Agricultural College (now Michigan State University). 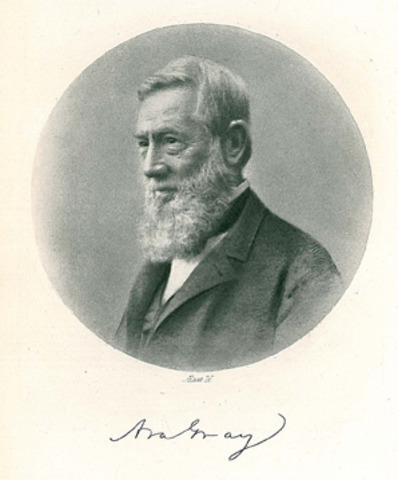 He flourished under the tutelage of Dr. William James Beal, who used a new experimental approach to teach botany, using living plants and laboratory work rather than only lectures and textbooks. 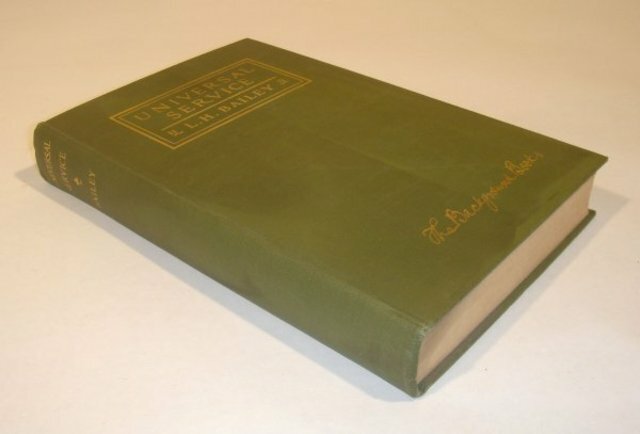 He helped organize and edit The College Speculum, a quarterly paper providing both scientific and general reading. 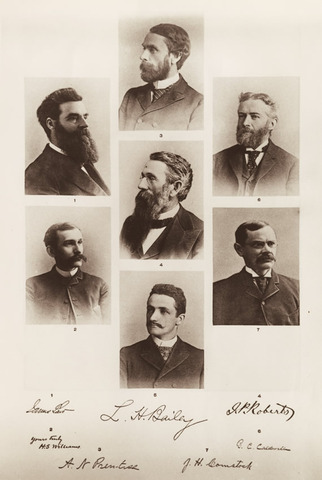 "When I was asked to take the chair of horticulture at the Michigan Agricultural College, a prominent botanist...said to me that he did not see 'how under heaven any man can take such a professorship as that.' My dear old preceptor Asa Gray was surprised, and I think, disappointed. When I sought to minimize the disgrace of it by saying that a horticulturalist needs to be a botanist, he replied, 'Yes, but he needs to be a horticulturist, too.’" L.H. Bailey, What is Horticulture? To get our science from the field and the laboratory into the garden is the problem of the age...We must get outside the garden fence as well as inside it. We must demolish the line between science and practice. This is the new horticulture. Deep down in nature's heart, beneath the thorns and perplexity, truths are hid which are vital to the farmer and gardener. 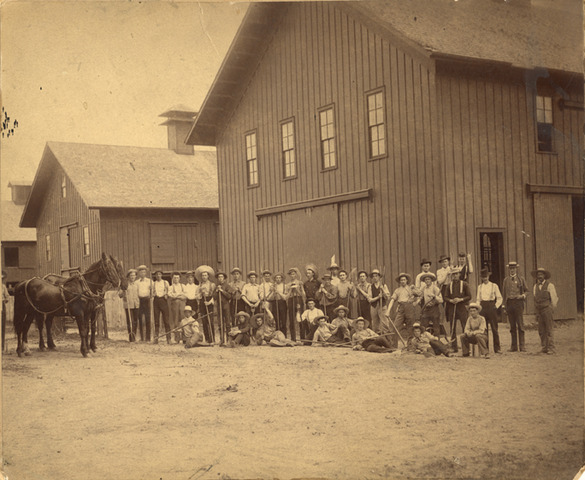 Michigan Agricultural College Professors W.J. 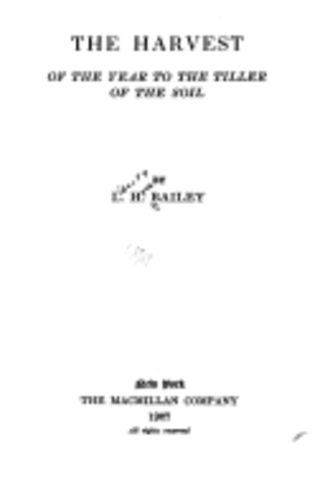 Beal and Liberty Hyde Bailey trekked across the northern Lower Penninsula in order to studey cutover forest lands and to determine their potential for agriculture. 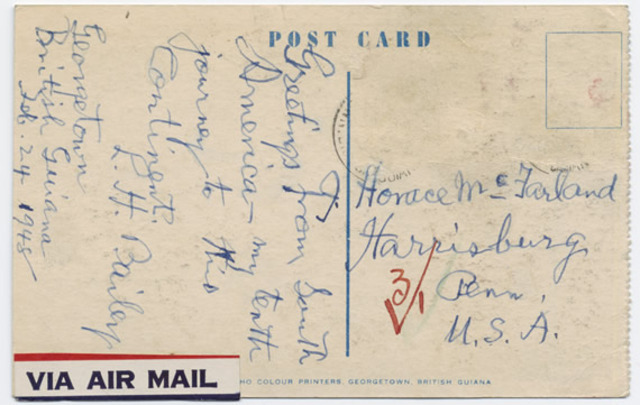 Cornell offers Bailey the post of professor of horticulture and sends him and family to Europe on a horticulture research trip. Eustace-Cole Hall was designed to be the first separate horticulture laboratory in America. 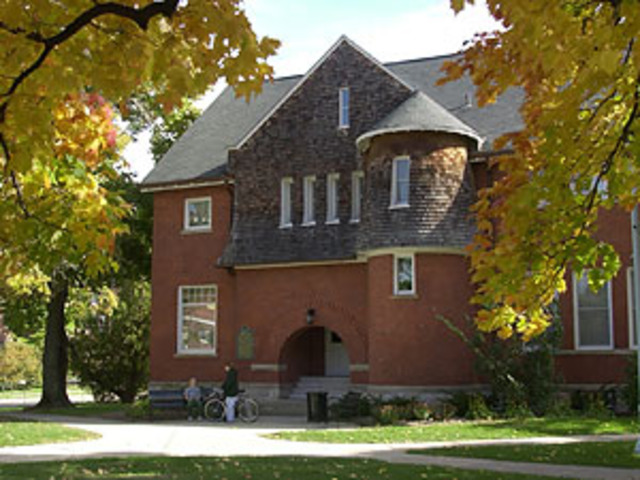 It is now the home of the Honors College on Michigan State University's campus. 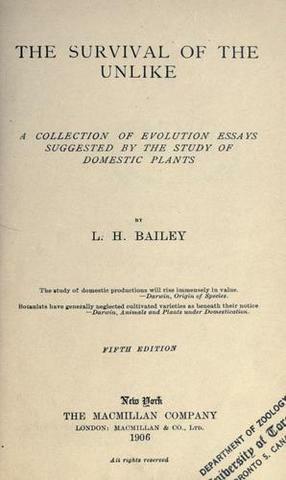 Bailey presents, "The Survival of the Unlike"
Nature-study is not the study of a science, as of botany, entomology, geology, and the like. That is, it takes the things at hand and endeavors to understand them, without reference primarily to the systematic order or relationships of the objects. It is informal, as are the objects which one sees. It is entirely divorced from mere definitions, or from formal explanations in books. It is therefore supremely natural. -L.H. 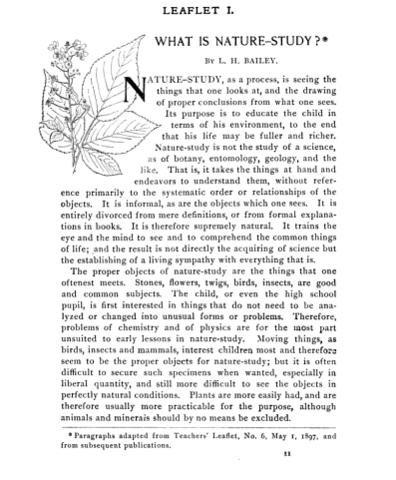 Bailey, "What is Nature Study?" A woman who knew my evolution beliefs once asked me where heaven is. There seemed to her to be no place left for it in the cosmos of the evolutionist. This is a type of difficulty which perplexes many persons. They dwell upon the physical symbolism of faith and creed, as if the things of the spirit must be measured by time and space and materials. I could only answer that I never expect to be able to discover heaven with a telescope. Perhaps heaven is much nearer than we think. 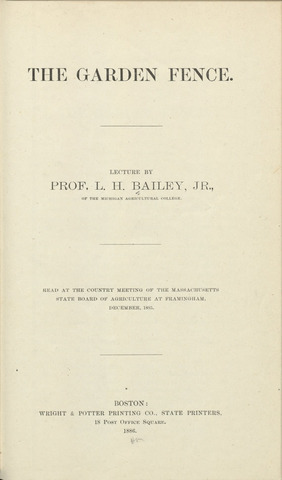 In 1908, President Theodore Roosevelt appointed a Commission on Country Life, with Bailey as its chair. 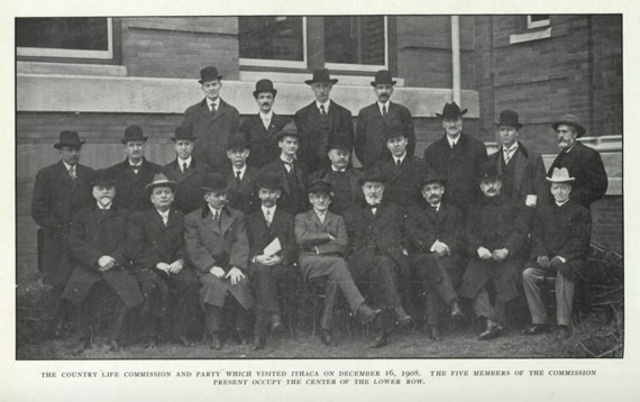 The Commission offered three recommendations: a nationalized extension service, which was formalized by the passage of the Smith-Lever Act in 1914; continuing fact-finding surveys, fostering the development of agricultural economics and rural sociology in universities and the federal government; and a campaign for rural progress. "The wealth of a democracy lies in its people, not in its government or its goods. The product of democracy is self-acting men and women. The well being and progress of society require that every citizen, of whatever age, may have the opportunity to discover himself or herself and to make use of himself largely in his own way." L.H. Bailey, "What is Democracy?" 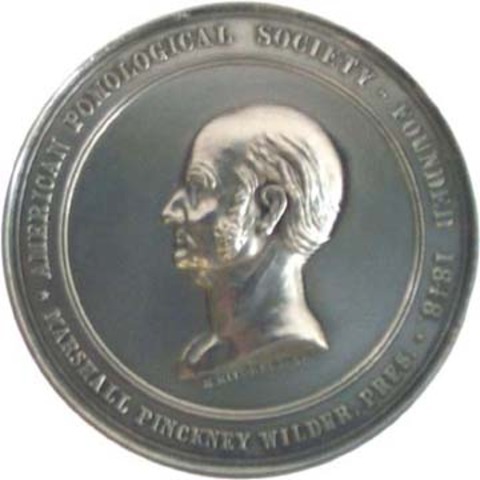 The Wilder Medal is awarded to individuals or organizations for distinguished service and contributions to the advancement of pomological science and for outstanding fruit varieties by the American Pomological Society. 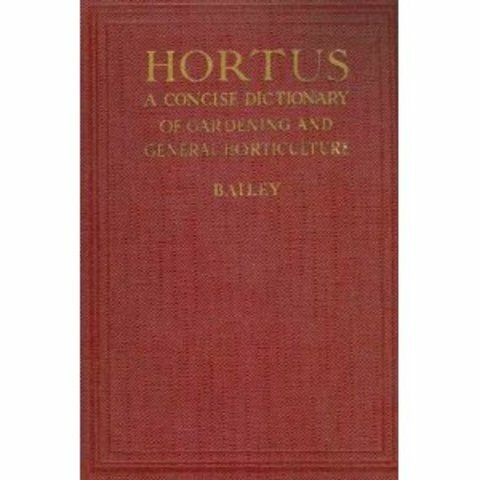 Bailey publishes, "Hortus," a guide to cultivated plants in North America. 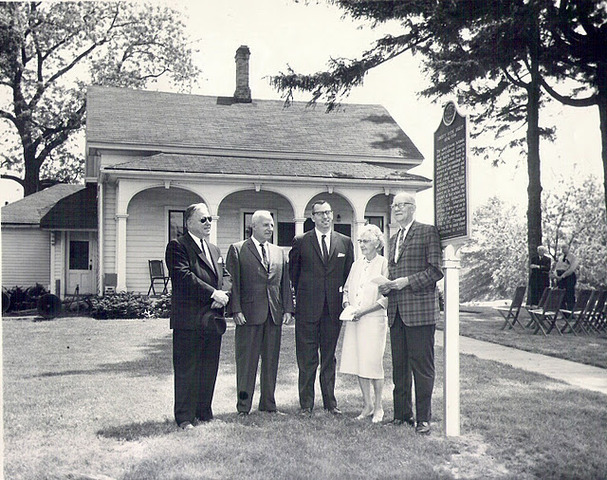 Bailey's birth home in South Haven, Michigan is gifted to the city as a memorial to Bailey. Bailey misses his 90th birthday party in Ithaca because he is on a plant collecting trip in West Indies. The celebration rescheduled for April 29. 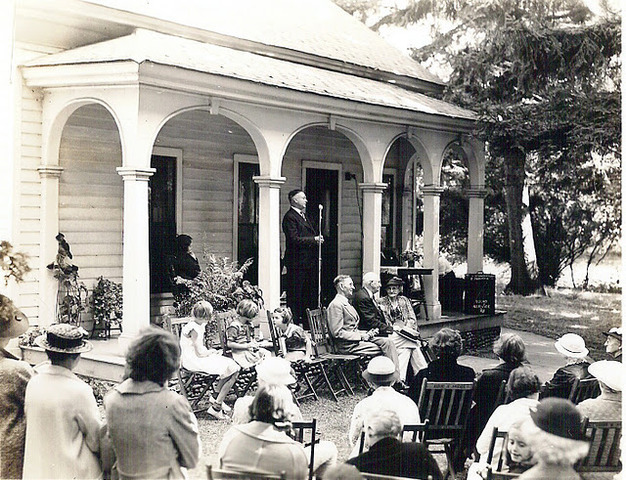 The first award of the Johnny Apple-seed Memorial Medal was made to Dr. Liberty Hyde Bailey by Men's Garden Clubs of America. 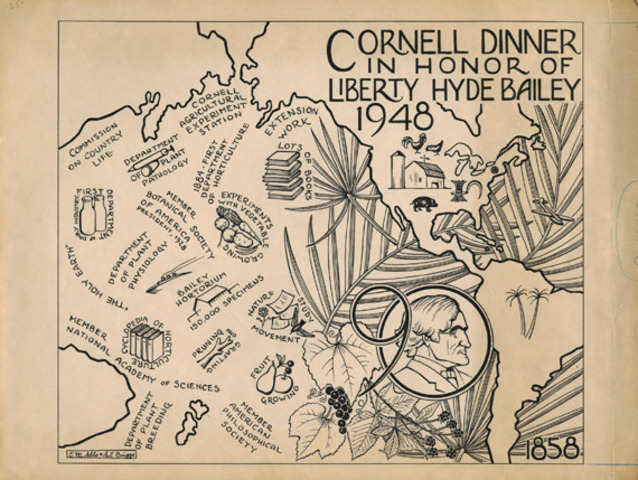 ITHACA, N.Y., Dec. 26--Dr. Liberty Hyde Bailey, internationally renowned botanist, horticulturist and agricultural educator, died yesterday in his home here at the age of 96. 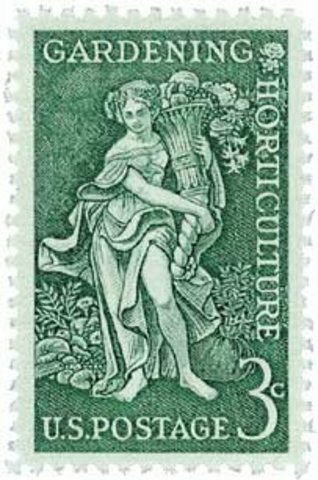 The Postmaster General authorizes a commemorative first class postage stamp honoring Gardening and Horticulture in recognition of the Centennial of Bailey’s birth. 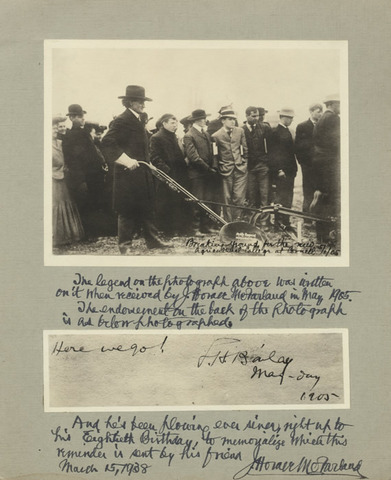 Liberty Hyde Bailey Museum, Michigan Historical Marker Dedicated. The world-famous botanist and horticulturist, Liberty Hyde Bailey, was born in this frame house. Here in wilderness surroundings he learned of wild animals and plants and attended the local village school. 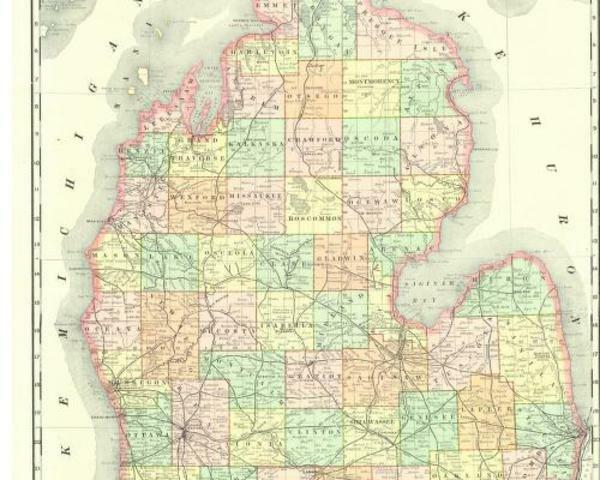 He graduated from Michigan Agricultural College in 1882, served on its faculty, and designed at that school the nation's first distinctively horticultural laboratory building. 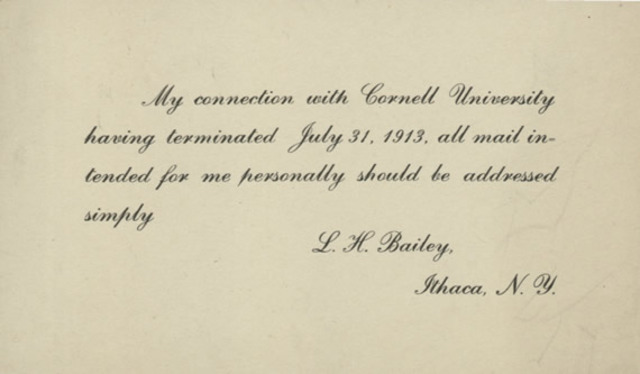 Bailey went on to be director of Cornell's College of Agriculture, retiring in 1913. 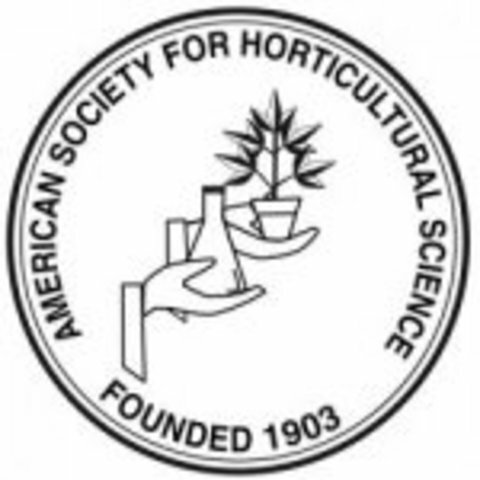 The American Society for Horticultural Science initiated a Hall of Fame designed to "honor distinguished persons who have made monumental and unique contributions to horticulture." 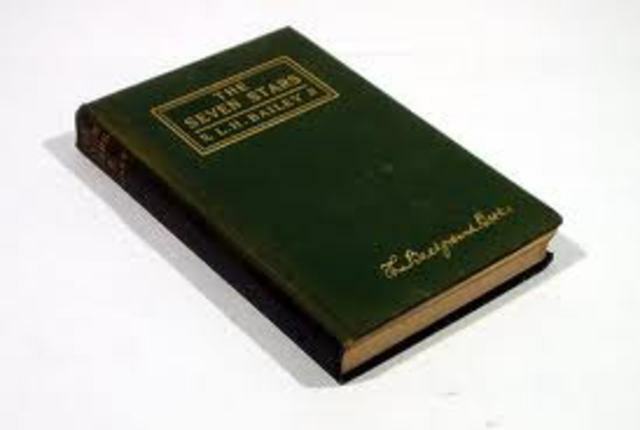 Only two scientists were inducted at the initiation—Gregor Mendel, the Austrian monk who solved the riddle of heredity, and Liberty Hyde Bailey. 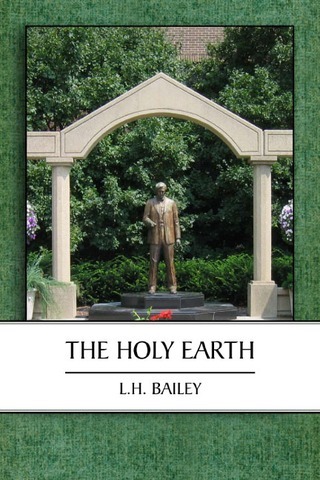 Liberty Hyde Bailey's classic, The Holy Earth, is reprinted to commemorate Bailey's 150th Anniversary and the 70th Anniversary of the Liberty Hyde Bailey Museum in South Haven, Michigan by Michigan State University Press and the Liberty Hyde Bailey Musuem. 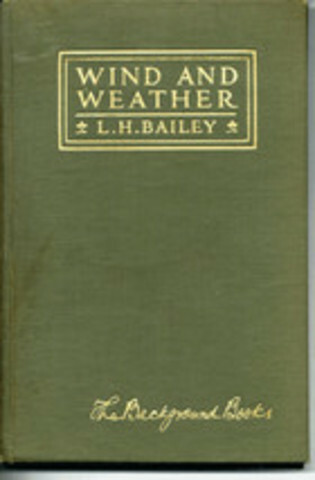 It is said that on the way to college Bailey outlined his goal in life—to spend twenty-five years in preparation (learning), twenty-five in earning a livelyhood (labor) and twenty-five in using his abilities as he chose (leisure)—a goal he approached closely, although he outlived the final third by more than two decades.